Tune in this Wednesday as we sit down with drummer and composer, Jon Di Fiore. 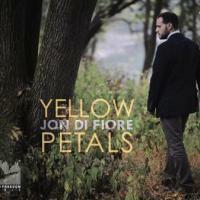 He will be picking the tunes and talking about his upcoming release, Yellow Petals. Di Fiore's debut album in 2012 was Patience, with him on drums and composing, Joe Magnarelli on trumpet, Rich Perry on tenor saxophone, Billy Test on piano, Adrian Morning on bass, and Jeremy Fratti on saxophone as well. He started playing drums at age 3, in his hometown of Scotch Plains, New Jersey. He started out teaching himself from listening to CDs, and then played in school from elementary school through high school. He graduated from New Jersey City University in 2011 with a bachelor of music in Jazz Performance, and then in 2013 from William Patterson University with a master of music in Jazz Studies. Di Fiore performed the '07 and '08 seasons with the New Jersey Metropolitan Orchestra, and in 2010 was awarded the Thomas H. Kean Award for Performance from the New Jersey Arts Foundation. He currently serves as an Adjunct Professor of Music at Essex County College.